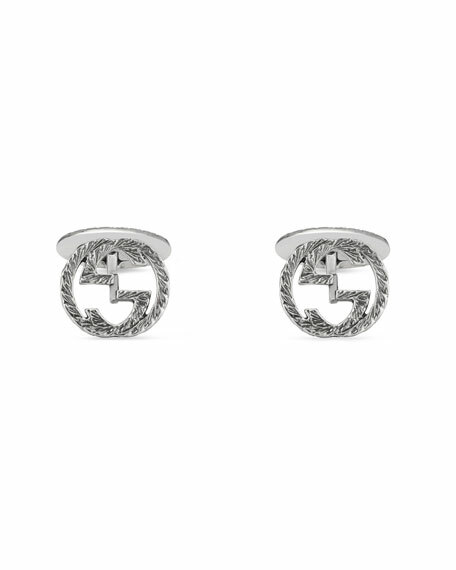 Gucci Gucci cuff links with interlocking-G motif. Sterling silver with aureco black finish. Gucci cuff links with feline head motif. Sterling silver with aureco black finish. Fixed back closure.